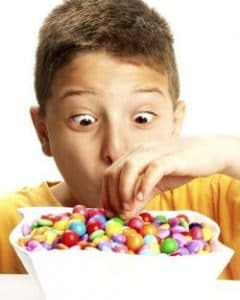 Here at Total Orthodontics in Lone Tree or Greenwood Village CO, we love Halloween treats but we also have a responsibility to increase the awareness of potential damage certain candies can cause if patients are not careful about which treats to eat. Click here to download a Do’s and Don’ts Treat List offered by the American Association of Orthodontists. As a reminder, print it off and post in on your refrigerator for all to see. We want everyone to enjoy their Halloween treats…but we also want you to protect the investment you and your family has made in helping us create a beautiful smile that lasts a lifetime.